Hello Class, today we're going to learn one of the most important procedures concerning your BlackBerry, but also one of the easiest. As CrackBerry Nation knows, RIM is constantly developing and testing new software for all of its devices. 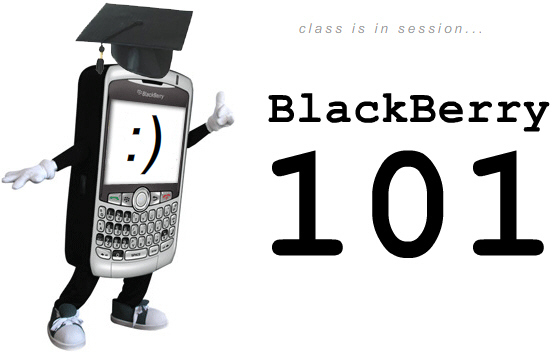 So as true CrackBerry addicts, we like to keep up with the latest and greatest. 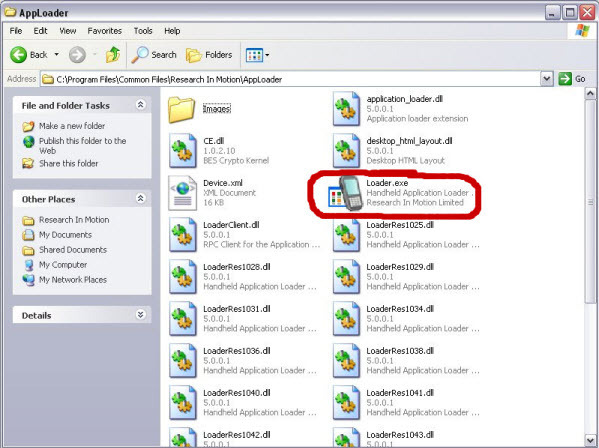 Today's lesson is another step-by-step guide on upgrading your device's Operating System(OS) using the Application Loader method. 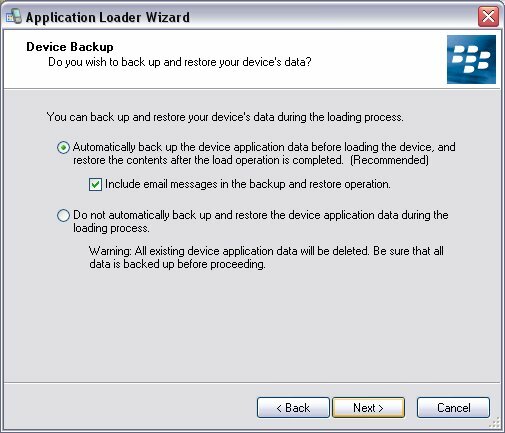 We already have a BlackBerry 101 that guides you through the upgrade process using RIM's BlackBerry Desktop Manager software, but for many new to BlackBerry owners the AppLoader method is a bit simpler with less chance for error. Let the lesson begin! First you will need to download the new BlackBerry OS to your computer. You can check for Official Software updates on BlackBerry's Download Site. Select your provider, fill out the forms and save the file to your computer's desktop. 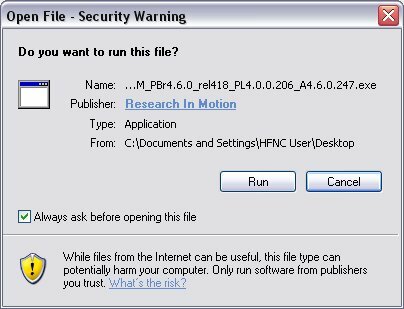 Now as most of CrackBerry Nation knows, there are unofficial versions (betas, leaks) of RIM software floating around the interwebs. If you decide to install one of these versions you do so at your own risk and cannot count on your service provider to help with tech support. Sometimes these versions are full of bugs and other problems so be cautious. Once the file is downloaded double click the icon from the download and select RUN. You can and should always click into the CrackBerry Beta OS and Storm OS forums to do your homework before giving an unofficial release a go. Now it is time to get the actual install process started. After the deletion of the Vendor.xml file (if needed) it's time to plug in your device to the computer via USB cable and then double click on the Loader.exe file. The next step is to identify which communication port the device is connected to. The Wizard should automatically detect the port and should display USB and your PIN number. Select 'Next'. 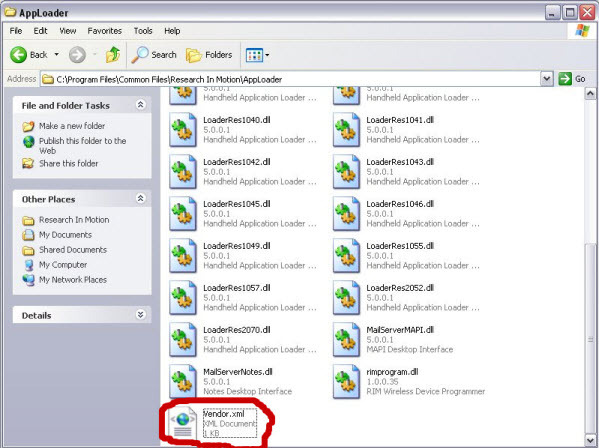 Next the Application Loader Wizard will read your devices system configuration. If for some reason you happen to be downgrading a box will pop up and ask if you want to change the systems applications(OS) or leave them. You need to select 'Replace Devices Applications with older version'. If you are not downgrading you will see the Device Application Selection screen. 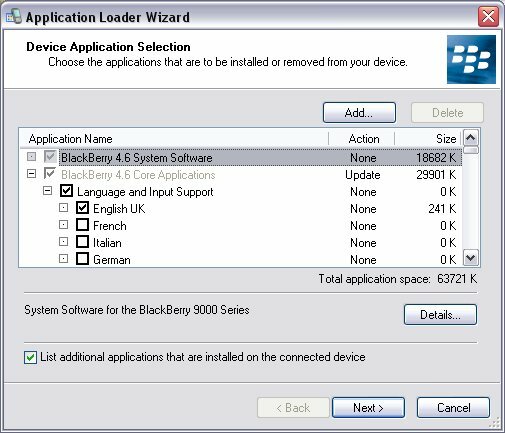 Here you need to make sure applications such as BlackBerry Attachment Service, BlackBerry Messenger, and 3rd Party Application boxes are ticked, and any other applications you want installed to the device and select 'Next'. 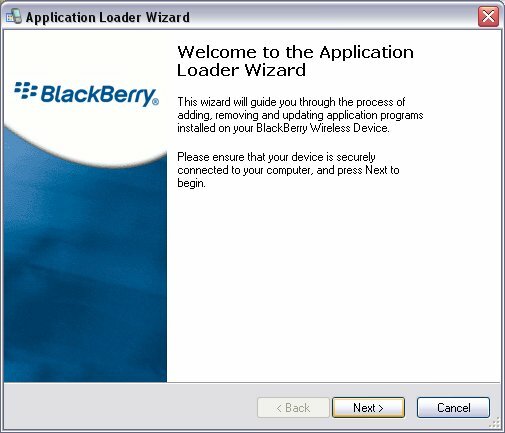 Now it is time to make sure the Application Loader Wizard backs up and restores all information on your device. Select 'Automatically Back Up' and make sure you have them emails box checked if you want those restored also. Then select 'Next'. 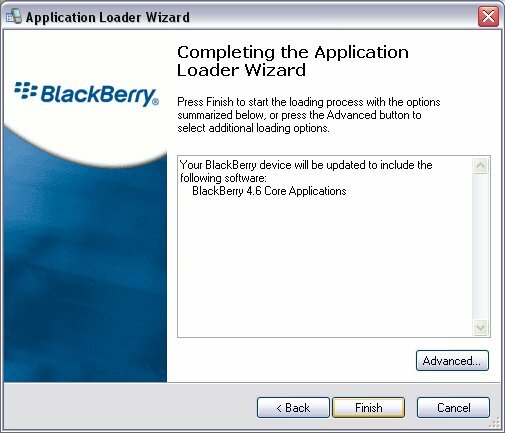 Completing the Application Loader Wizard screen will come up next and and show you exactly what Applications are being installed. Make sure everything you want installed is selected and select 'Finish'. This process, depending on what model device you have can take anywhere from 20-45 minutes. DO NOT UNPLUG the device from the computer and DO NOT UNPLUG the USB cable from the device. This will cause you to have a bricked device and definitely give you a headache. Just be patient. When the Application Loader Wizard is finished the Wizard will say Loading Operation is Complete. Then you may unplug your device and enjoy the new Operating System.